Tagline- Is It Magic? Or Wholesale Slaughter? 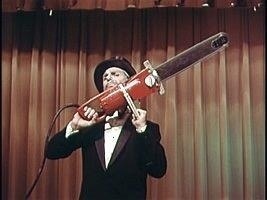 Released in 1970 The Wizard of Gore was yet another blood soaked horror flick by exploitation filmmaker Herschell Gordon Lewis; of all the HG Lewis movies I have seen, which is about 5 the Wizard of Gore is easily my favorite of the bunch with Blood Feast coming in 2nd. 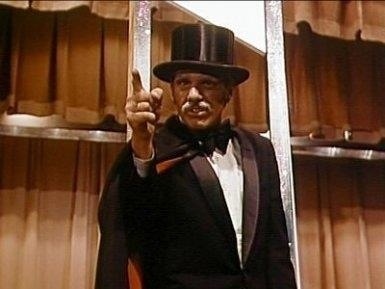 Some have accused the movie of being boring with such witty comments about the movie calling it The Wizard of Bore and I suppose I can see why some might find it boring, but I can honestly say I was never once bored. 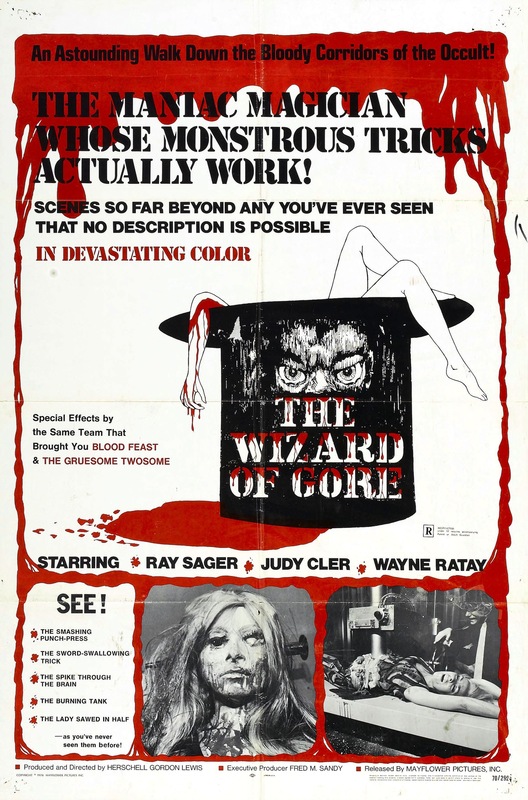 As much as I liked The Gore-Gore Girls and Blood Feast when there were lulls in the action I did every so often lose a little bit of interest, but Wizard of Gore I can say I was never once bored at all. 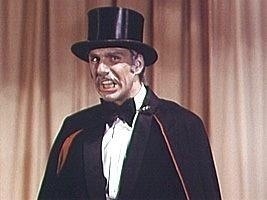 The Wizard of Gore lives up to its name; if you want gore you got in buckets! Some of the gore F/X may not look great anymore, but for the most part they still pack a punch and can be rather gruesome and I loved every second of it. The screenplay by Allen Khan is pretty much what one can expect from a low budget gore flick, but there were some decent ideas presented even if they never really go anywhere or make much sense. The screenplay is pretty much the same scenes over and over again just worded differently, but overall while the script may not be great it was actually better than I expected it to be; but I doubt anyone will really care about the script since it’s just merely there to well kill time before the gore. Director Herschell Gordon Lewis delivers a gore drenched cult classic; the pacing is fairly well done and like I said I was never bored during the movie even when there were lulls in the action. 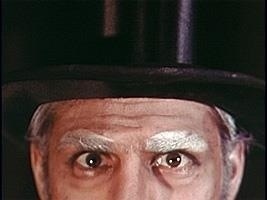 The Wizard of Gore is a bit sloppy and rough around the edges, but this is what makes the movie so entertaining. 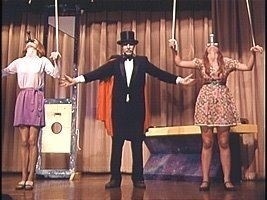 HG Lewis is very much a schlock director The Wizard of Gore delivers on that. 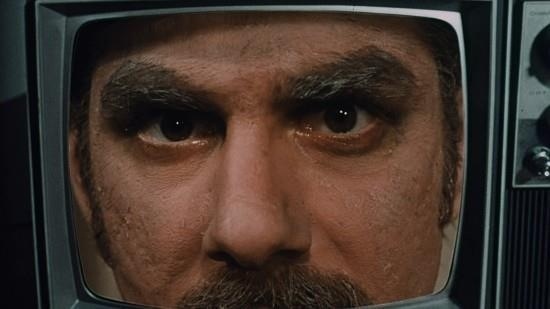 The biggest selling point is the gore and Lewis never holds back in showing us the gore; from insides being ripped out and all being shown close up, HG Lewis delivers on what the fans want. The acting is obviously wooden and that does make the movie all the more enjoyable, but the characters though were fairly interesting and likeable. 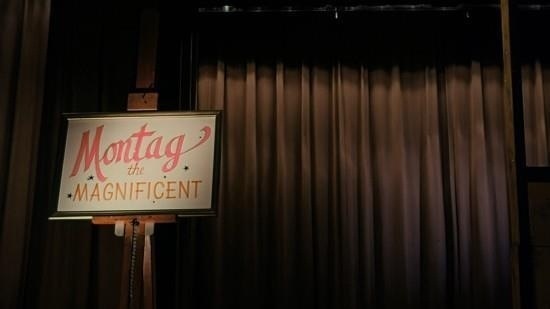 Montag the Magnificent played by Ray Sager was just awesome. Sager’s performance is over the top and silly, but that is exactly how the character was meant to be played. 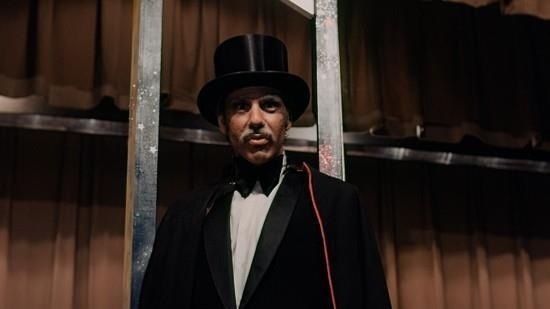 Ray Sager actually went onto have a fairly successful career as a producer with the Prom Night sequels as well as the TV series the Eleventh Hour and was an assistant director on such films as My Bloody Valentine (original) and Terror Train. 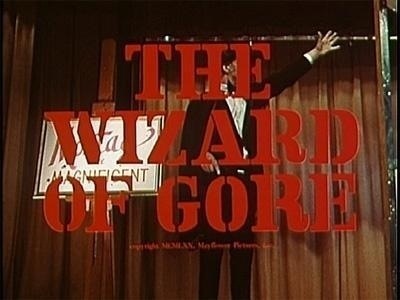 The Wizard of Gore was a highly enjoyable splatter flick and we just don’t see movies like this anymore. It seemed once the 80s ended a lot of low budget horror flicks got terrible and not in a good way. Many try to make a cult flick, but I think it something that just happens. The Wizard of Gore has found a new lease on life with the remake with Crispin Glover and being mentioned in the surprise blockbuster Juno. If you are a fan of HG Lewis or schlock cinema this comes highly recommended.